A critically endangered Sumatran tiger pregnant with two cubs has been killed by a pig trap – the latest setback to a species whose numbers have dwindled to only about 400. The four-year-old big cat was found dead in a ravine in Indonesia about after escaping from the trap, with part of the snare wrapped around her body, which had ruptured a kidney, authorities said. The tiger was pregnant with male and female cubs, according to the head of the local conservation agency. He said a suspect from a village in the province of Riau who admitted to setting traps for pigs was arrested for questioning. “We will cooperate with law-enforcement agencies for an investigation and to launch an operation against wild hunters and traps,” said Suharyono, who uses a single name. Sumatran tigers, the most critically endangered tiger subspecies, are under increasing pressure as their jungle habitat shrinks, largely because of the expansion of palm oil plantations. Two people have died in tiger attacks on Sumatra this year, and villagers slaughtered one they reportedly believed was a supernatural creature. Anyone in Indonesia caught hunting tigers could face jail time and steep fines. 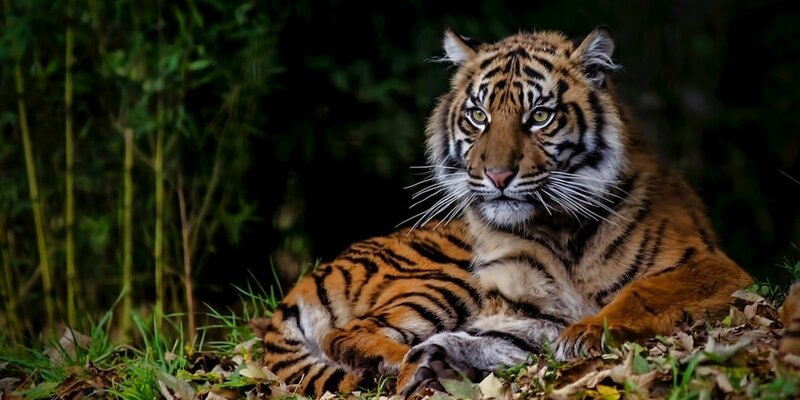 But WWF says that despite increased efforts in tiger conservation, a substantial market remains in Sumatra and across the rest of Asia for tiger parts and products. Sumatran tigers are losing their habitat and prey fast, and poaching shows no sign of decline, according to the conservation charity.